A YMCA employee was hospitalized after inhaling a volatile mixture of two common pool chemicals. The poisonous chlorine gas vapors quickly spread through the Y, endangering more than 100 members, mainly children. A prompt response from the local fire department and a hazardous materials team is the only reason injuries were not more serious. According to the Center for Disease Control, the employee’s failure to follow the chemical guidelines could have resulted in dozens of fatalities. In addition to symptoms such as vomiting and skin blisters, chlorine gas can cause a fluid buildup in the lungs called pulmonary edema which can be fatal. The executive director stated the employees were familiar with the chemicals and attributed the incident as a failure to interpret the chemical’s safety information. The Occupational Safety & Health Administration (OSHA) estimates that exposures to chemicals used for large-scale cleaning account for approximately 860,000 occupational illnesses and 60,000 deaths every year. Pool maintenance-related injuries account for more than 5,000 emergency room visits annually, according to the CDC. These statistics highlight the potential dangers chemicals pose, and why it's crucial to provide protection for their employees and patrons. 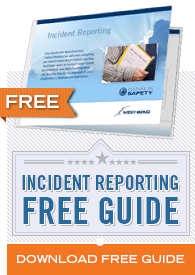 What do Safety Data Sheets Contain? Section 4, First-aid measures: includes important symptoms/effects, acute, delayed; required treatment. Section 8, Exposure controls/personal protection: lists OSHA’s Permissible Exposure Limits (PELs); ACGIH Threshold Limit Values (TLVs); and any other exposure limit used or recommended by the chemical manufacturer, importer, or employer preparing the SDS where available, as well as appropriate engineering controls; personal protective equipment (PPE). Section 12, Ecological information: includes information on Eco toxicity and other adverse environmental effects. Section 13, Disposal considerations: a description of waste residues and information on their safe handling and methods of disposal, including the disposal of any contaminated packaging. Section 14, Transport information: includes special precautions, which a user needs to be aware of, or needs to comply with, in connection with transport or conveyance either within or outside the premises. Section 15, Regulatory information: safety, health and environmental regulations specific for the product in question. The requirements for displaying SDS have stayed the same with the new update from OSHA. The main requirement for SDS is that they're maintained on site, are readily accessible, and are available for every product used in the facility, including products brought from home. It's important all employees not only know where every SDS is kept, but have access to them at all times without barriers. This means they should not be stored on a password protected computer, locked inside a room or file cabinet, or stored in hard-to-find places. Employees should not have to ask a supervisor for a SDS. Large facilities with multiple sites must maintain complete and up-to-date SDS at every location. SDS may be maintained electronically, but this method must be barrier free, without any password protection or log-in barriers. Electronically-stored SDS must be backed up by a hard copy in case of a power outage or computer malfunction. There are no specific guidelines for organizing SDS outlined by OSHA; typically, they're organized in a three-ring binder or some other type of folder.